Trembling With Fear 10/31/2018 – Happy Halloween! It’s our Halloween edition for ‘Trembling With Fear’ and we’ve got some fun and festive stories for you this year. We’ve got a middle of the week celebration so it’ll be a bit short to not take away too much from your work, school, or trick or treating but either way, it should be an enjoyable read! Offhand, in case you missed it we were finally able to release our first collected anthology of ‘Trembling With Fear’! It was full fall the day the crawler emerged from the woods and sniffed the dusk. The old ash trembled slightly as the hungry thing burst out from underneath its roots; a clump of orange and yellow leaves dropped unceremoniously to the ground. October, yes – late October when doors open and defences are low. The crawler smiled its ghastly grin. The crawler had bony, vine-like limbs, and could walk on four legs or two. Its bulbous head was a bright orange, save for a thick, brownish horn which sprouted from the top and twisted imperceptibly, sunflower-like, towards the darkest dark. Its teeth and claws, huge and triangular, were also orange, dyed from years of cannibalistic digging into the flesh of its weaker kin. Fire glowed from the cavernous sockets where other creatures may have had eyes. The crawler’s favourite thing to do was eat. It ate its own kind, when it could. It ate other things. It ate the animals from the woods. Its favourites were the little animals, the rabbits and baby deer stumbling on new legs – not because they were weak (the crawler, though small, was frighteningly strong) but because they were innocent, and hurting the innocent amused the crawler. This was also the reason the crawler liked to sink its claws into little human children and drag them into the woods. Usually the crawler stuck to the woods, where it could easily slink among the tangles of branches, blending in with the dead leaves. But sometimes it liked to go out. Beyond the threshold of the woods, an old house loomed over the horizon. The building was tall and solid, its double doors locked and braced against the elements like a set of clenched teeth. The windows, too asymmetrical to pass for eyes, stared out at the world regardless. …and lurched backward in horror, its fiery grin inverted. For on the porch, nestled on top of an incongruous bale of hay, was a head. Not a human head, but the vacant, severed head of another creature like the crawler. Its face was frozen in a perverse grin, and its eyes still glowed faintly, as if the killer had found a way to prolong his victim’s suffering by keeping it in this torturous, semi-alive state. A twinge of something that crawler had not felt in many hundreds of years – pity? compassion? – washed over it. Cocking its head for noises inside the house, the creature crept up the porch and peered into head’s vacant eye sockets, curious to see if there was any life inside. What the crawler saw made it recoil. The head was a mere shell, sliced open and emptied of all brains, bones, and cartilage. Within the shell, a perverse mockery of the fires that burned within the crawlerkind, was a weakly flickering candle. The crawler’s frown deepened. In a gesture of uncharacteristic tenderness, it blew into the shell and extinguished the candle. Philanthropic duty done, the crawler scuttled down the driveaway and onto the street, skulking from home to home in search of other amusements. But at every house, the crawler was greeted by more of the ghoulish, grimacing heads. What creatures could be capable of such large-scale brutality? The crawler was strong (why, only fifty years ago, it had snuck up on a farmer, scurried up his back, and snapped his neck before the man had even a chance to shout) and some of its kin were stronger. So what earthly being could have overtaken so many of them? The crawler did not want to meet such a being. And so, before the moon had even fully risen in the pinkish sky, the crawler scuttled back into the woods, feeling something it had never felt before: terror. The crawler made its way expertly through the undergrowth, emboldened by the tree cover, pausing only when it came to a clearing. The ground in the clearing was soft and slightly damp under its claws, and it wondered if there would be worms to dig or beetles to eat. Suddenly, the crawler heard footsteps, and voices. Still perturbed by the things it had seen at the houses, the crawler scurried up a dying oak tree and listened. It could see them now. A group of five humans – young, but strong-looking in the way that human young are hardier than their elders. They stumbled as they walked, however, and talked far too loudly for the woods. Sticks of smoke hung from their chapped lips, and polished brown glass glinted in their hands. The leader of the pack dragged a sledgehammer, and the smallest of the youths, who brought up the rear, had a white sack slung over his shoulders. The youths settled in the clearing and began to take swigs of the foamy liquid that bubbled over the lips of their shining glass bottles. Thirst quenched, the largest of the five walked over to the discarded sack and dumped it out. A dozen severed crawler heads rolled onto the ground. Before the crawler could ponder the meaning of this, the youth picked up one of the heads, tossed it high into the air, and swung at it with the sledgehammer. The head exploded into chunks of orange. Still clinging to an upper branch of the tree, the crawler recoiled. On the ground, the human picked up another head and lobbed it to one of his companions, who swiftly shattered it with a kick. Their young defile the dead, the crawler thought. And it yearned to reveal itself to the youths, to chase them out of its woods, to let the slowest four escape but cut the fastest of them off at the border and feast on his flesh. But fear stayed it. The crawler had seen the severed heads on every porch, saw the swollen bag that even these wayward youths had managed to collect. The humans were more dangerous than the crawler had ever fathomed. So instead, the crawler hid in the tree and watched in silence, waiting for them to leave. But the killers didn’t leave; and with each defilement it witnessed, the crawler’s indignation grew. At last, the final head was destroyed, and the youths collapsed. Bodies drained from exertion and minds numbed by drink, the youths were soon slumped on the ground, surrounded by pumpkin guts. The crawler crept closer. The youths breathed, but did not see, did not hear, did not move. Noises and chirps did not wake them. Prodded, they did not stir. They were not so fearsome after all. The crawler approached the largest and strongest of the unconscious youths, and, using the gentlest of motions, brushed the smooth side of a claw across the young man’s forehead. The boy slept soundly. And the crawler grinned, its flames burning brighter. It wondered how brightly they would glow when it cracked their skulls and replaced their brains with candlelight. Madison McSweeney is a Canadian writer, poet, and blogger. 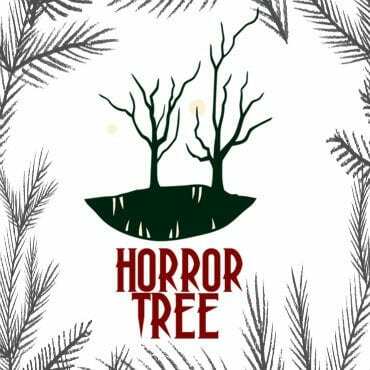 Her horror, sci-fi, and fantasy stories have appeared in Unnerving Magazine, Women in Horror Annual 2, The Fulcrum, Horror Tree, 365 Tomorrows, and Dark Horizons: An Anthology of Dark Science Fiction. She also has stories set to appear in Weirdpunk Books’s upcoming Zombie Punks F*** Off and forthcoming issues of Polar Borealis and Deadman’s Tome. Her non-fiction arts and culture coverage has been published in a number of outlets. She blogs at madisonmcsweeney.com and tweets (mostly about horror, rock music, and the Canadian arts scene) from @MMcSw13. Death walks beside you tonight. The grim reaper passes by me but he is not death. He is a boy in a mask with a plastic scythe, playing pretend. I am the true reaper. Children dressed as ghouls and goblins run past, begging for sweets. They growl and they shriek, but I am the real monster. A skinny teenager in a skeleton suit, black with glow-in-the-dark bones, walks over to give me a high five. I am unused to being addressed with anything other than screams or whimpers, so I do not respond. I stand there holding my hatchet. He and his friends continue loudly down the street as I stand and watch them curiously, the sound of my breath amplified in my ears by the mask. When books are written about my life, they will say many false things. Like the skeleton-boy, they will assume that movies have inspired me to do the things I have done. That couldn’t be more incorrect. Does the cobra watch a film to learn how to swell his regal hood and strike? They will say that I hated humanity. That I have done these things to avenge the wrongdoing of all of the bullies and abusers in my misbegotten life. But I don’t hate anyone. Does the lion hate the lamb as he rends its woolly flesh? I appreciate my prey for the sport they offer. And while they may not provide sustenance for my body, I can assure you they provide food for the soul. A band is playing loudly outside of a local bar, and a crowd is drinking and carousing. This is the one night of the year when I am able to walk the streets and not raise an eyebrow, and I intend to take advantage of it. A large, muscular man in a tank top puts his arm in front of me. I realize there are barricades on either side of him. I stare at him. I do not want the attention his death would bring. And I do not have any money. I also do not want to turn around. So I stare at him. From behind me someone hands the muscular man a ten dollar bill. I turn to see the most beautiful girl I have ever seen in my life. She is an angel as sure as I am not. The muscular man waves me away like a fly, and I step through the barricades. I turn to see the angel walking off toward the bar. She does not turn to look at me. I walk behind her at a distance, admiring the sparkling white wings swaying from her back. But she is no angel after all. She is dressed like a warrior, with plastic armor and helmet, and has a plastic sword strapped between her wings. A warrior angel? No. A Viking angel. What is the word for that? Over the course of the next hour, she smokes too many cigarettes. That is a bad habit, but some say murder is too. A few men stop to talk with her at the bar, but she does not seem to be interested. She turns to look at the band, a sad look in her eyes, and that is when she notices me standing behind her. She stands up from the bar, draws her sword, and points it at me. Valkyrie. I remember the word now. She walks over slowly, brandishing her weapon. I feel something inside of me that I don’t know how to process. I take a step forward. The streetlight gleams off her auburn hair. She wears thick-rimmed glasses that are not in keeping with her costume. Her bottom teeth are bunched together. She is perfect. I tilt my head. She lowers her sword, takes a drag off her cigarette, and looks off in the distance. Behind the mask, unbidden, the corners of my mouth turn up. The band starts into another obnoxious song, and those around us scream and swoon. But my Valkyrie doesn’t scream. My Valkyrie doesn’t move. She stands as a statue, sword in one hand and smoke in the other, a magnificent sculpture of sorrow. I drop the hatchet and hold my hand out to her. For a while she doesn’t notice, but when she does her eyes narrow. Then she drops her cigarette and squashes it beneath her boot. She sheaths her sword and takes my hand. I hold her arm out to the side and wrap my other around her waist. She smiles, even laughs. She leans her helmed head on my shoulder and we sway together. We are dancing to the rhythm of our own song. When the band stops playing, we dance on. The Valkyrie smiles up at the psycho killer. And for the first time in my life, I wonder why I need the mask. I wonder why I need the hatchet. Because, for the first time in my life, I have found someone that I do not want to kill. Grant Grogan is an American author, musician, and filmmaker. 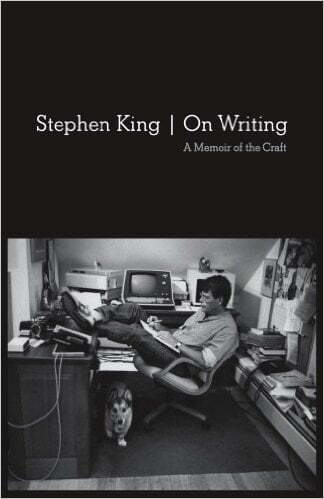 He mostly writes Horror and Fantasy fiction. He has produced music in nearly every genre, and worked on a few short films. He loves Giallo films, analog synthesizers, the Clemson Tigers, John Carpenter, H.P Lovecraft, and hot sauce. He resides in South Carolina with his wife and two small boys. But your knife is real. Ripples ran across the lake surface, and I turned my face into the wind, enjoying the study break, even if the needle mark from donating was beginning to itch. Lower on my arm, on the back of my hand, an ant wove its way through my arm hair, tickling complementing the need to scratch. Then it crawled higher, going from my wrist to near the outside of my elbow. When I looked, I noticed that the ant was small, almost the size of the hole in my skin. The tickling sensation stopped, and an acidic fire started under my skin. J.A. Hammer lives off coffee (mostly Dead Eyes) and stress, willingly surrounding themselves with needles of all kinds (2+ galleons of blood donated, hedgehogs, and cacti) and books on genetic mutations. In moments of rare free time will usually have a splatter movie playing in the background. If the zombie apocalypse did happen, they would most likely die as Tokyo is a all-you-can-nom buffet. If you see the name CoffeeQuills online, that’s J.A. Hammer’s alter-ego, and they’re mostly safe to talk to (bites will only happen if contagious, in the name of science). They also have cake. Nobody bakes a Halloween pie, Ruth thought. It’s always candy with these children. When the first children knocked on Halloween, Ruth opened the door and faced a witch and a werewolf. “Trick or treat,” they yelled. An hour later, another knock on the door. In the kitchen, Ruth dropped the werewolf’s liver into the boiling pot of apples and wiped her blood-stained hands on the witch’s costume. “I’m coming,” Ruth said, wondering if she’d need more ingredients. ionel Ray Green is a writer, an award-winning newspaper journalist, and a U.S. Army gulf war veteran living in Alabama. His short stories have appeared in the anthologies “Fifty Flashes,” “How Beer Saved the World 2,” “Graveyard,” “Frightening,” “Tales from the Grave,” “In Creeps the Night,” and “22 More Quick Shivers.” His work has also appeared in the 2017 issue of “From the Depths” and on the Horror Tree website (“Trembling with Fear,” Jan. 14 and Jan. 28, 2018). Not a winner for best costume compared to the fabulous Frankenstein Monster, but the imposing figure in yellow robes and featureless white mask sure is striking, always present if aloof: never talking, never dancing, just there. Nobody is quite sure who they’re meant to be. Then, the witching hour is struck and it’s time to unmask. Everyone does, but them. But, the figure does open their robe and those who see never speak of it again. For them, Hallowe’en will never more be a night of fun.